This summer Green Guys sponsored its own men’s softball team and they made us proud winning 1st Place Championship for the 2015 Summer Adult Softball Wednesday Men’s EE2 League! 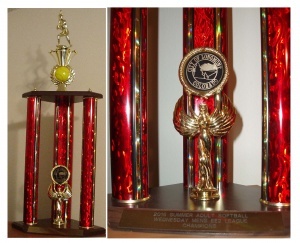 Stay tuned, we sponsored them again this Fall and it looks like they will be bringing home another trophy. If you want to see them play, go to Garden Acres Park at 7:15PM on Wednesdays.